A fascinating and thrilling account of Kaiser Wilhelm II who, as the First World War drew to an end, quietly crossed into neutral Holland seeking asylum. The Allies agreed to put him on trial charged with the ‘supreme offence against international morality’. 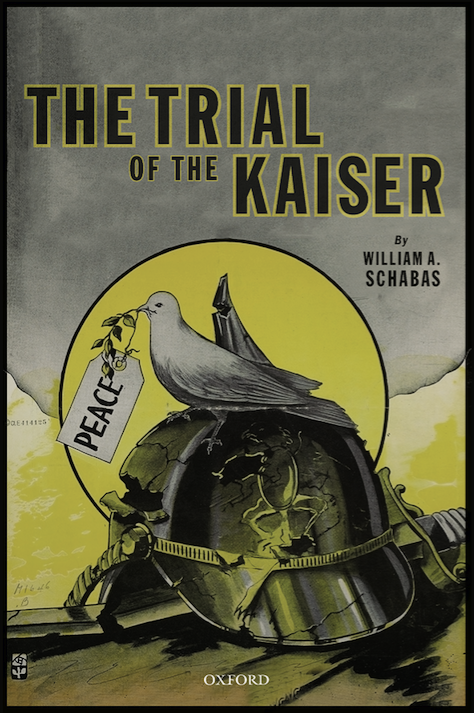 Professor Schabas sheds light on the events surrounding this ‘most important international trial that never was’ and the attempts made, including a daring attempt to kidnap the Kaiser by a rogue American unit, to bring him to justice and to define the concept of war crimes.